This article was written by Kim Sung-Bum of the Ministry of Maritime Affairs and Fisheries, Head of Shipping Policy Division. 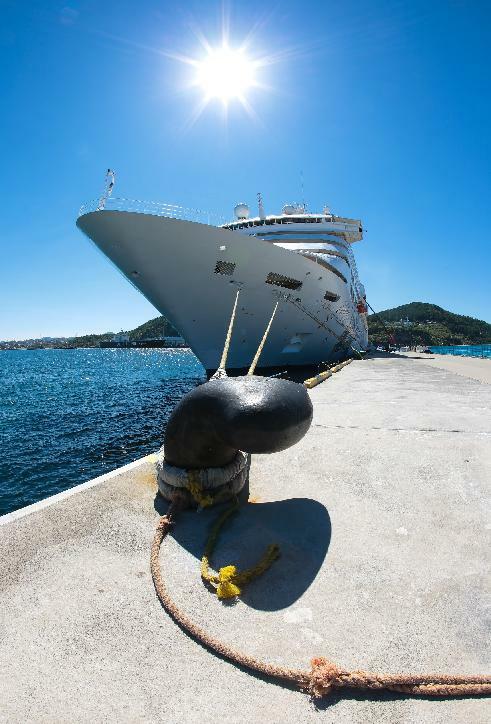 Recently, huge cruises such as the 140-ton Voyager and Mariner are docking in Jeju, Incheon, and Busan and interest in cruises is increasing greatly. The world cruise market has grown by an average of 10 percent per year since 2000, with particular growth in China which shows even more potential for market growth. Korea, too, has seen substantial growth. Annual cruise tourists were 70 thousand five years ago, and that figure reached 280 thousand last year. This year cruise tourist numbers are expected to jump 2.5 times again to 700 thousand. The government is ensuring policy matches this drastic growth to ensure the market is sustainable into the future. The Ministries of Maritime Affairs and Fisheries, Culture, Justice, and Foreign Affairs and Trade are all working together to coordinate policy and planning. To attract more foreign cruise companies to Korea 12 additional cruise ports will be constructed by 2020, in addition to a new cruise information center, customs and immigration facility, and more. Marketing for cruise-related activities will be expanded through international relations programs such as the 2014 All Asia Cruise Convention and the 2014 Jeju Cruise Exhibition. These initiatives will develop the cruise industry between Jeju, Busan, and Incheon and immigration processes will be simplified. In addition, the infrastructure and facilities around Jeju’s premier port will be expanded, allowing tourists to stay longer. Using Marina Bay Sands and Sentosa Island as benchmarks, improvements will be made to the cruise terminal, shopping districts, accommodation, leisure, tourism, and the holiday tourism complex. Furthermore, to ease the entry of international cruises to Korean cruise ports, immigration restrictions on cabin crew and facilities will be relaxed. There are also plans underway to open a casino in the cruise complex. Finally, the “Cruise Industry Growth Measurement” aims to strengthen the industry by building cruise manpower, cruise development support, safety measures, and redeveloping the port itself. The cruise industry is integrating itself with the local economy, too. While there is direct benefit to the local tourism industry and related services, each ship creates approximately 400 jobs in total, in industries such as sightseeing, shipbuilding and aviation. The cruise market is consumer-centered as tourists choose their port of call. With the support of the government, we expect Korea to be the center of the region for the cruise market, where all the citizens of the world want to come.